More than 151 London hotels from Coming Soon per person! London hotel reviews should form an integral part of your London hotel reservation process. Firstly, you need to work out if you can only afford cheap London hotels, or have enough money to splash out on discount London hotels, before deciding where you want to stay. Then, whether you fancy hotels in Victoria on the doorstep of Buckingham Palace, hotels in Waterloo that are minutes away from the London Eye, or hotels in Covent Garden surrounded by markets and street entertainers, you should always read the London hotel reviews before clicking here to make a booking. 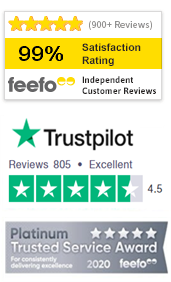 Past customers of TravelStay.com write the reviews on each cheap London hotel’s page, so you can read their honest opinions before making a decision. Chester Hotel Victoria offers you family run, very simple accommodation. However, the major plus point is that you can walk to fantastic attractions like Buckingham Palace and Westminster Cathedral. Check out the reviews for this London hotel! Lord Jim Hotel is low-cost hotel in Earls Court, central London. Hotel reviews for this superior budget hotel are always good, so if you fancy staying close to the Earls Court Exhibition Centre and the Science Museum you should book a room here. Vegas Hotel London provides you with a well-priced place to rest your head that’s within easy reach of all of Victoria’s transport links and a short walk from amazing Buckingham Palace. Reviews of this London hotel are great – read them for yourself! Marble Arch Inn offers you low-cost, friendly accommodation close to Marble Arch, Oxford Street and the West End. You get a fresh breakfast basket included in the room rates. Look at the London hotel reviews for this hotel to help you decide! Hotel 43 London is brand new, so book a room here to be amongst the first to write London hotel reviews for this modern, plush four star hotel. When you’re not relaxing in your facility packed room you can walk to Hyde Park and Kensington Palace. California Hotel has a sun terrace, coffee bar with internet access and affordable rooms, hence the reason why the London hotel reviews are so good! Kings Cross’ excellent transport links and attractions like the British Library will surround you. European Hotel London may be cheap, but it gets lots of great London hotel reviews from TravelStay.com customers. Eat your filing full English buffet breakfast here before setting off to explore the nearby British Library in bustling Kings Cross.